When it comes to cleaning your home, nothing compares to having a high-quality vacuum by your side. This handy device makes the chore of cleaning floors and other surfaces of your house quick and easy, as long as you have a cleaner that is up to the challenge. Unfortunately, many people have subpar vacuums that don’t provide enough cleaning power for the type of work that they need to be done. Either the model is not right for that purpose, or the brand is not that high quality. So, with that in mind, today we are going to be looking at Prolux Vacuums. This company has been around for a long time, making tons of high-powered and high-performance vacuums that provide more than enough suction and will leave your house looking spotless. Another reason that we’ve decided to go with Prolux is that it produces a wider variety of vacuum types, meaning that you can find the perfect one to suit your needs. Whether it’s an ultra-light stick model or something that can provide suction to your whole house, These best Prolux vacuum has you covered. Not only will we be looking at various models from this company, but we’ll also go over the different features that you should be looking for when making your final decision. If you’re working on various materials, such as wood or metal, then you are going to create a lot of dust and debris. Unfortunately, most vacuum cleaners are not equipped to handle such messes, especially if they have any liquid involved. So, if you’re looking for a versatile cleaning solution this wet/dry shop vacuum will be a great buy. What we like most about this cleaner is that it’s built to do so much. Not only do we like that it can pick up water or dust with equal power, but we appreciate that it can be reversed and used as a blower or an inflator. To drive that point home further, this unit comes with fifteen different attachments, including three inflation ones that can provide air for your tires or beach balls with ease. The other thing that we love about this vacuum is that it’s built for performance. The main piece is made of durable stainless steel, and each of the accessories is sturdy plastic. So, whether you’re cleaning up a pile of wood chips or whatever mess is in your car, this vacuum can handle it all. Plus, it has an extra-long hose so that you have an even greater cleaning range than with most shop vacuums. Other features of this device include an insulated motor that operates at only 73 decibels and an extra-large dirt bucket that can hold up to 5.88 pounds of material. Also, since the bucket is bagless, you can clean it out quickly and easily. Finally, since this is a wet vacuum, it comes with a shampoo nozzle so that you can wash your carpets or the inside of your car with ease. This model is an extremely powerful vacuum with 150 CFM speed, has a 30ft electric hose and toolkit plus electric power nozzle. Also comes with a massive 25-year body warranty. Let's take a closer look at the main features of this Prolux CV12000. Powered by a two-speed Amtek motor which is the industries best motors and is designed to last for ten years and is UL certified. The rating on this CV12000 is for up to 12,000 square foot homes or workspace — plus has an electric hose power nozzle kit. With a 150 cubic feet per minute (CFM) of airflow and is said to be the most powerful vacuum in the US. Filtration system on this vacuum is bagless dirt chamber which is see-through so useful to see when it's full. The HEPA filter is washable. And ideal for allergies and pathogens. However if you need increased suction, due to exhausting the air outdoors, then this can be removed which will give more suction power to the vacuum. 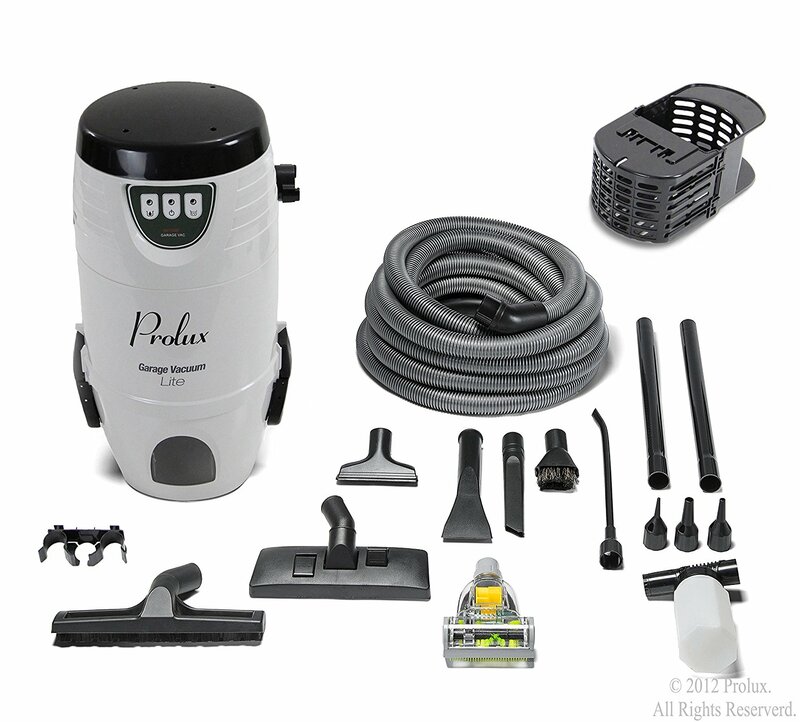 The Prolux Cv12000 is equipped with a garage outlet that allows user to plug suction hose directly into the central vacuum unit to clean up your garage or cars. Overall this steel construction with powder coated scratch resistant vacuum certainly ticks all the boxes for a vacuum which has lots of features and is extremely flexible in it uses. 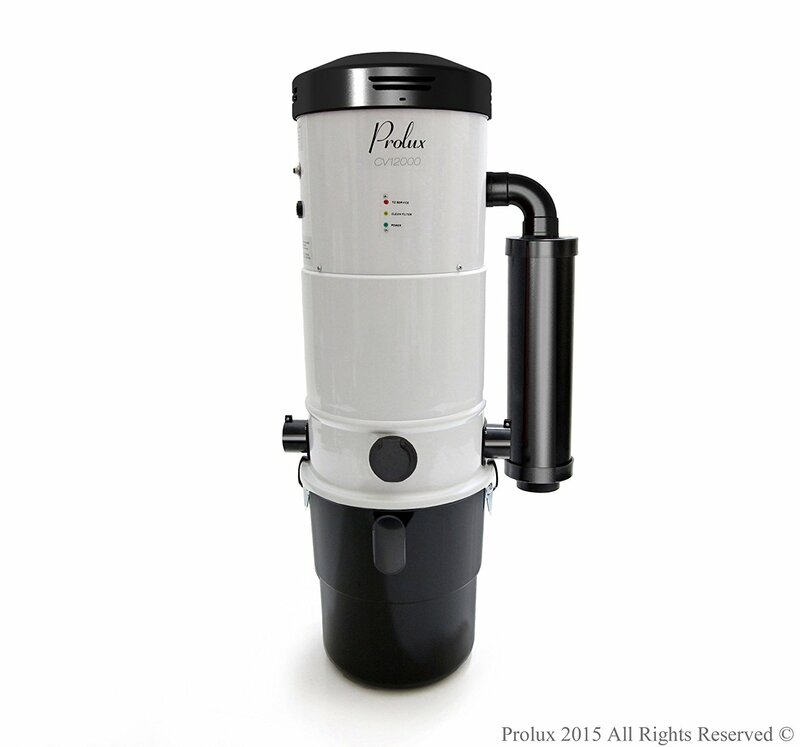 While the Wet/Dry Vacuum above is built for high-powered versatility, this next model from Prolux is designed with agility in mind. So, if you want to clean the tough spots in your house that you can’t get to with a regular vacuum cleaner, this is the model to get. Although we would prefer it to have a longer battery life (it only lasts 24 minutes), it’s still got more than enough juice to do plenty of spot cleaning. 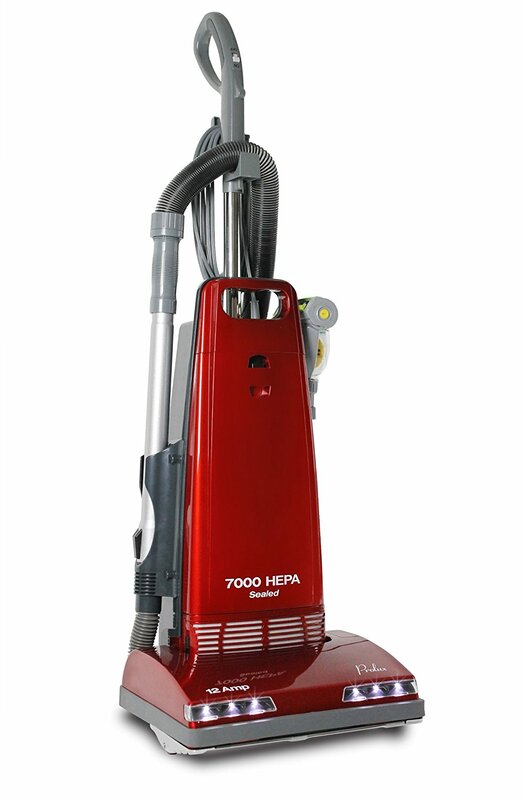 Overall, this is a great supplemental vacuum cleaner to ensure that you get a more comprehensive cleaning experience. Next, we have a high-powered vacuum cleaner that is built to handle carpeting. So, if your home is covered in soft flooring, then this is the model to get. Best of all, it works on thick or thin carpets, and it’s designed to handle pet hair and dander with ease. In the end, you can do a lot with this vacuum. What we like most about this device is the performance. It has a steel brush roll that can get deep into carpets and dig out fine dirt particles with ease. It also has a HEPA filtration system to trap dust and allergens so that they don’t get blasted out into the air. To provide extra versatility, this vacuum comes with five different attachments, including a small pet hair brush that won’t get clogged easily. It also has a suction bypass control system that allows you to do lighter dusting if you decide to clean your furniture or drapes with the hose accessories. Finally, this vacuum comes with a remarkable seven-year warranty. That means that it’s built to be as effective as possible so that you can keep on vacuuming for years to come without any worries or problems. While most people are happy with upright vacuums, sometimes it’s better to have a canister-style model instead. These devices are much more agile and easier to use on a variety of surfaces, which is what makes this TerraVac from Prolux so desirable. What we like most about this vacuum are its size and versatility. 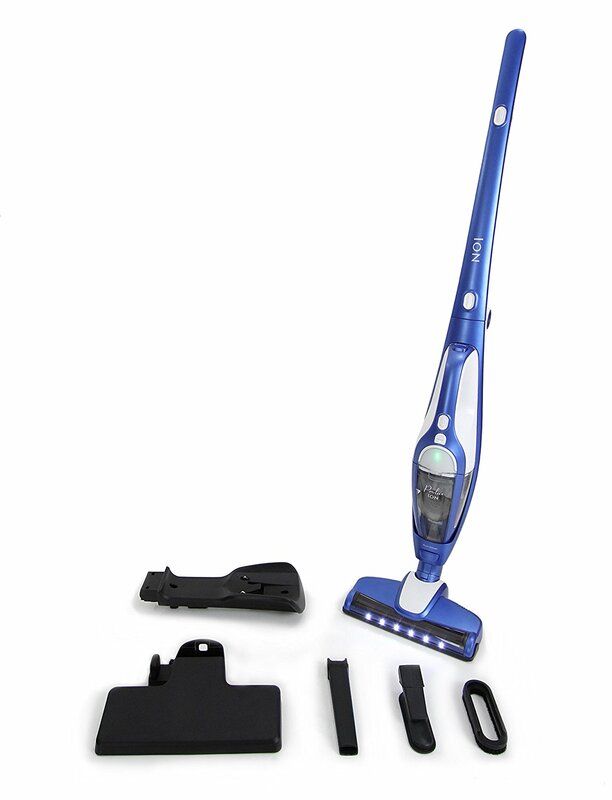 At only six pounds, you can carry it with you almost anywhere, but it still has plenty of power to clean your floors and other surfaces quickly and easily. Best of all, you can adjust the motor to fit whatever kind of cleaning you’re doing, meaning that if you’re on the carpet you can crank it up or you can turn it down when cleaning hardwood or furniture. Also, since it has a HEPA filter built in, you can prevent allergens from escaping into the air. 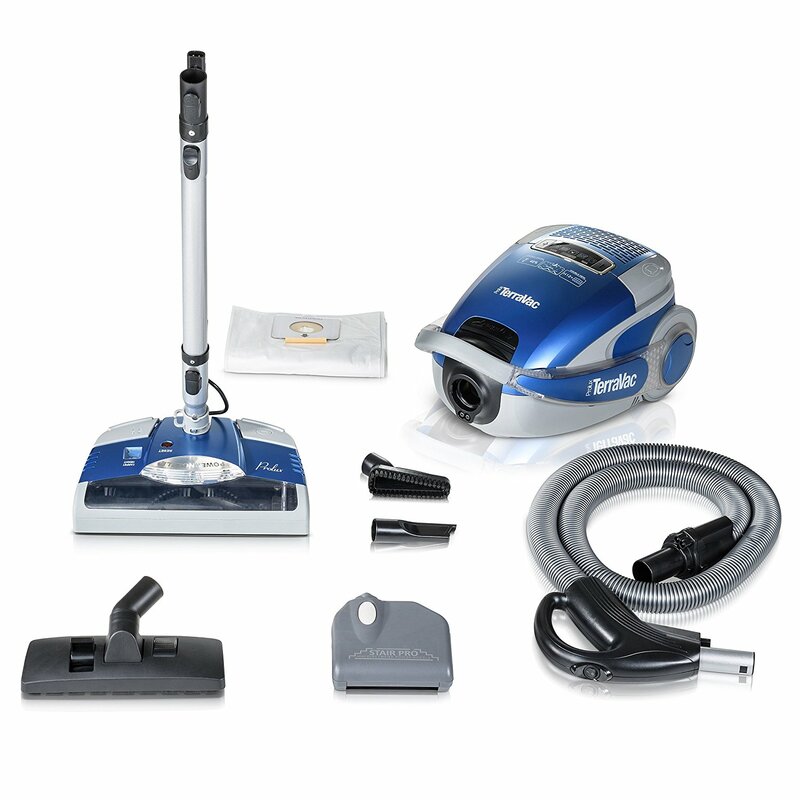 Overall, this vacuum is ideal for smaller homes that need portability along with performance. Our final model is not a handheld vacuum at all, but rather a central system that is designed to make your life as easy as possible. Wouldn’t it be great if you could sweep dirt and dust into a wall port and it will get sucked away? Well, if your home is built for that kind of cleaning, then this is the vacuum to get. What we like about this model is that it has incredible power and performance. It’s built for up to 12,000 square feet, but if your setup is smaller than that it only improves the amount of suction that you get. It can provide up to 150 CFM, which is more than enough to keep dirt and debris off your floor for good. Best of all, it still has a HEPA filter built in so that you never have to worry about allergens or dust clogging your air. So, considering that each of the Best Prolux Vacuum is built for a particular purpose, it’s almost impossible to figure out which one is the best. However, we particularly like the Wet/Dry Shop Vacuum and the H-Grade Pet Vacuum the most because they have the best performance and versatility that we’ve seen. Although the Canister model is great as well, we think that the H-Grade has much better suction overall, which is why it’s one of our top picks. When you looked at the various Prolux vacuums models, you have to make sure that you’re getting a vacuum that’s conducive to cleaning your space(s) with ease. The vacuum can be built to handle multiple rooms and floors of your home. Whilst others may only be able to spot clean here and there. Ultimately, it’s up to you to figure out which size vac is best for your home, based on the amount of cleaning you have to do and how much storage space you have for it. As you will see, there are multiple kinds of Prolux vacuums that you can get, and each one has its own pros and cons. Here is an outline of them all. ● Shop Vacuum: best for cleaning up large particles and water spills, ideal for small workshop and garages but not great on hard floors and some types of carpet. ● Handheld: ideal for spot cleaning and any type of quick clean ups, as they have limited battery life. But again it can be very useful in the right situation. ● Central Vacuum Unit System: This works by plugging into pipe hose in the home or garage depending on which model you choose. This concludes the reviews of the 6 Best Prolux Vacuum, there is a lot of different cleaning situation to consider and hopefully this has been of some help with your choose your ideal vacuum. If you were ever wondering who makes and produces the Prolux vacuum cleaners? Then we have the answer and brief history of this company. Prolux vacuums is a company born out of the USA over two decades ago and are innovators and have been the first to market with quite a few best-created vacuum products including the first bagless backpack vacuum. The first product they inverted was a bulb for air purifiers that with a UV this light could clean the air. 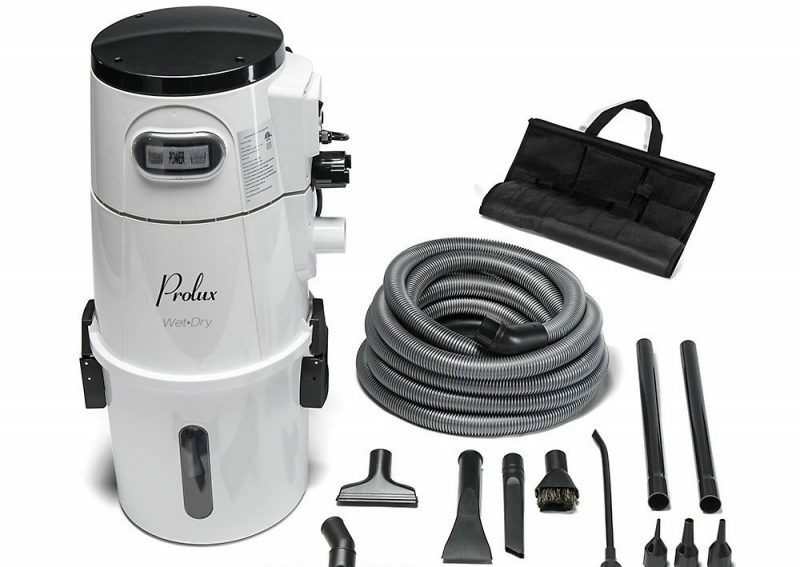 Prolux invented the first central vacuum system for use in the homes in the US & Canada (See above for reviews on this, or check out here Prolux Cv12000). The company is big on Research and Development (R&D) and is always looking for new and innovating ways to improve and better existing or new product designs. As part of the Prolux broad range of vacuums now available from upright, canister, backpack, stick and battery powered vacuums. The company takes an enormous amount of pride in customer service and feedback for all their products. Although not new to the vacuum cleaning industry they continue to produce quality products to a large following of satisfied customers.